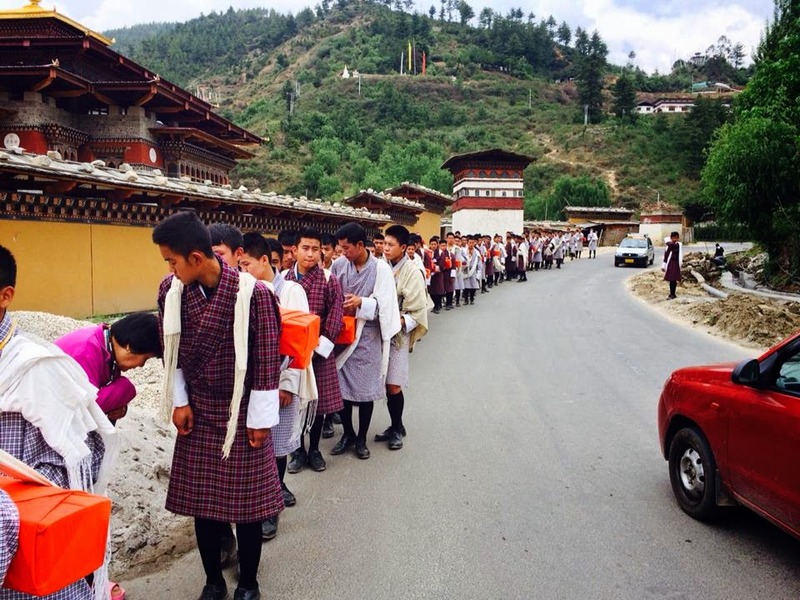 If you are enjoying today's cloudy weather after some many days of dry heat, thank the students of Motithang and Kelki who undertook the divine journey of Kanjur-lingkor around the Thimphu city to please the rain god. The absence of rain may not quite bother the urban population but the farmlands around the city were crying for rain. Thimphu Thrompon Kinley Dorji and Thromday Education Officer Dorji Wangchuk were leading the boys under the scotching sun. I don't know if they can please the rain god and change the course of natural phenomenon but the event was a big out-of-classroom cultural lesson that the students will never forget. It's the lesson of faith in god, faith in ancestral practices and most of all the demonstration of brotherhood among us and the farmers who work in the fields and produce food for us. I met the pilgrims above the Tashichodzong and the sight of them pleased me beyond words- I wish I were the rain god. I stopped my car and my family received blessings from the boys. It was an unexpected revision of spiritual lesson in an unexpected place, it's been quite sometime I went on that journey in my village. Salute to the Thrompon who has always held my highest regards and the TEO who took education beyond school, who didn't care if it was out of syllabus. 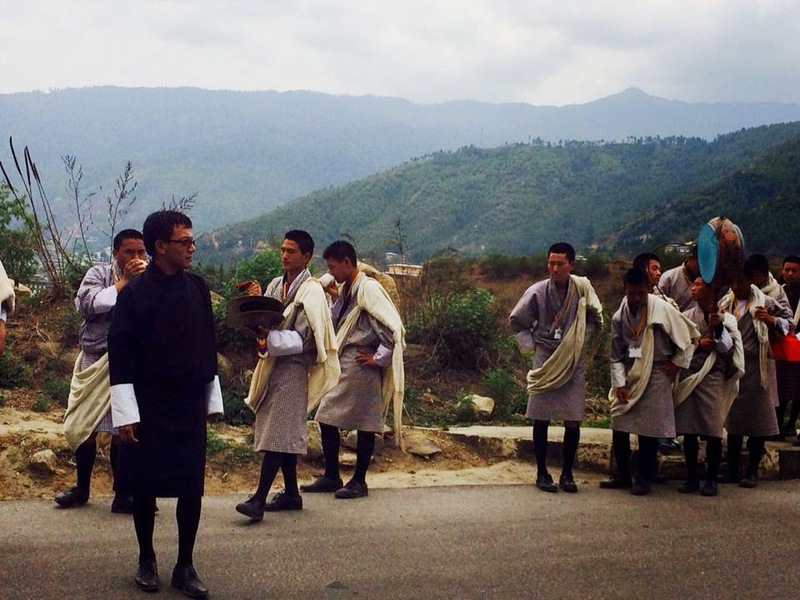 Photographs are from Organizer Dorji Wangtchuk's Facebook post.